High quality anti pill fleece fabric, double front buckle strap with adjustable surcingles and fillet string. Machine washable at 30C. 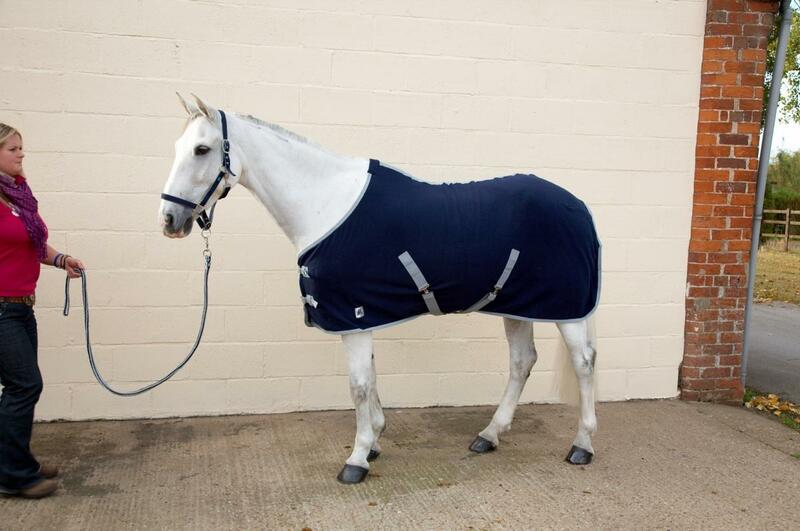 Ideal for use after exercise, as an under rug to keep warm, or for traveling. Featuring an attractive Hy reflective logo. There are currently no questions for Hy Fleece Rug - be the first to ask one!